SAP CO internal order monitors the parts of the costs and in a few cases, it also monitors the revenues of the organization. You can create an internal order to monitor the costs of a time-restricted job or the costs for the production of activities. Internal orders can also be used for the long-term monitoring of costs. Investment cost related to fixed assets are monitored using Investment orders. Period-related accrual calculation between expenses in FI and the costing-based costs debited in Cost Accounting are monitored using Accrual orders. Costs and revenues incurred for activities for external partners or for internal activities that do not form a part of the core business for your organization are monitored using order with revenues. 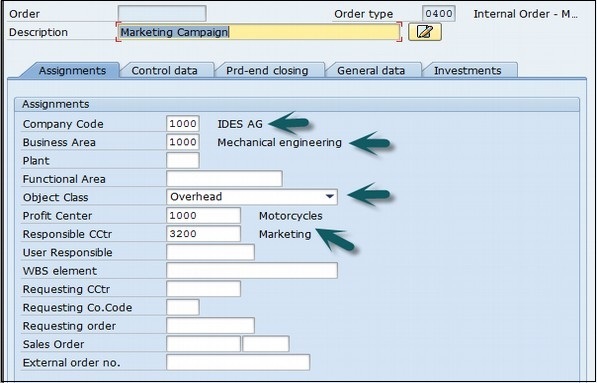 How to create an Internal Order in SAP CO? 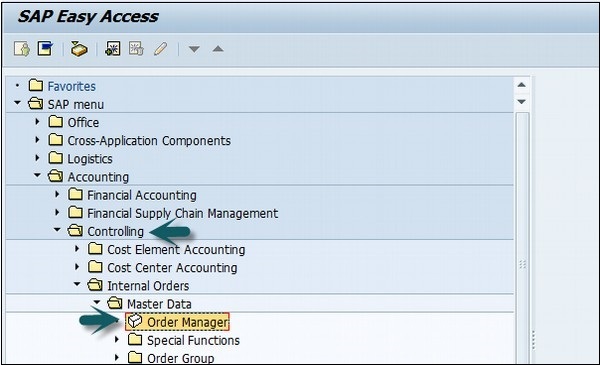 Use the T-code KO04 or go to Accounting → Controlling → Internal Orders → Master Data → Order Manager. Click the Create button at the top to create a new internal order and enter the order type. After entering the above details, click the Save button at the top to create the internal order.